The vineyard in Occitania (ex Languedoc Roussillon) an around the Guest House"Au Pied du Figuier"
Our guest house "Au Pied du Figuier" is a stone's throw from Limoux, in the heart of the vineyards of the Aude, Pays Cathare, in Occitania (Ex Languedoc Roussillon). The blanquette of Limoux and Crémant are now well known. These sparkling wines have no need to envy the traditional Champagne that was produced much later. Blanquette is composed oft 90% Mauzac grape, the Crémant is dominant Chardonnay. But the terroir of the region also produces a variety of wines, AOC, red or white. Limoux blancs are aged in oak barrels and made with Chardonnay, Chenin and Mauzac, while red AOC must be made up of at least 3 of these 6 grape varieties: Merlot, Malbec, Syrah, Grenache, Cabernet franc or Cabernet Sauvignon. A loop of 6 kms which will allow you to discover the rehabilitation of the huts of vineyards and orchards formerly abandoned around Limoux. The route can be done on foot, by bike or on horseback. 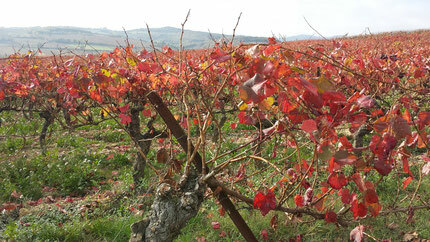 Anne de Joyeuse winery makes wine for nearly 90 years the wines of Limoux and the Upper Aude Valley. 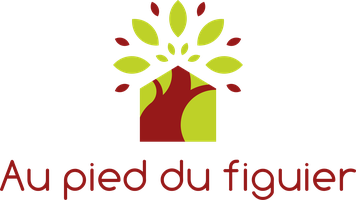 A cooperative cellar located in Limoux and which will be able to advise you for your purchases of wines and their accompaniment with foods. Limoux has developed a recipe quite similar, but lighter, since it consists only of pork, but also of white beans served separately. You see, a generous cuisine, but not light!